Not many people would have thought how crucial Michael Carrick would be at Old Trafford for the next decade of this career when signing from Tottenham for a deal reportedly worth up to £18.6 Million in the summer transfer window of 2006. He has enjoyed a remarkable career at the Red Devils, winning countless honours, including 5 Premier League titles as well as the prestigious UEFA Champions League. 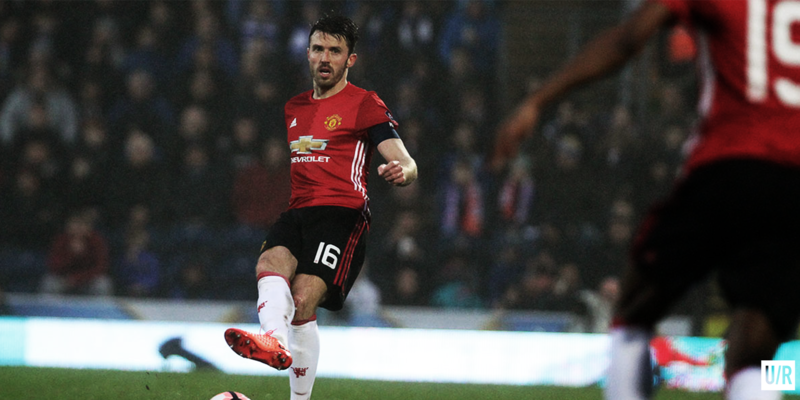 Carrick has been an incredible servant to the club and one of the best midfielders to put on the famous red jersey but sadly, due to age, his time at the club is coming to an end. At the age of 35, soon approaching 36, he is still Manchester United’s best defensive midfielder option. But with the Englishmen ageing and struggling to play two games in a week, a replacement is needed. United have yet to do so, which could be very worrying for the side. Carrick provides what any defensive midfielder must do, he has such great positioning and knows his role in the team. He won’t get distracted if the game is being played at 100mph, he’ll keep composed and disciplined in the role, which is hard to find in the modern game. He also possesses the ability and know-how to pick the right pass as well ensuring that he is available to receive the ball too. Not only can he protect the back four, but Carrick can also attack from deep with his magnificent passing range, he will take risks on the ball and try and complete that incisive pass to hurt the opposition. Which is something United have lacked ever since Ferguson left the club. When Michael Carrick plays, Manchester United play football. All of these qualities in one man is hard to come by; So it is vital that Jose Mourinho looks into signing his replacement. I’ve looked into some players that could potentially replace the Englishmen, and here are the three men that I think would make the cut. Weigl is a 21-year-old defensive midfielder playing his trade in the Bundesliga for Borussia Dortmund. The young German international burst onto the scene towards the start of last season and has now become a crucial part of Thomas Tuchel’s team, acting as a playmaker from deep. He shares a lot of comparisons to Michael Carrick in regards to how they play as well as their role in the team. They are both seen as key components within their respective systems. If you compare their stats on Squawka, they’re very similar players. They both have very high pass completion rates per 90 minutes, and almost identical amount key passes, but Weigl has more than over 800 more passes, and nearly tripling his tackles won. Weigl looks like he is quite the player already and possesses massive amounts of potential, he seems like a great replacement for Carrick. According to Transfermarkt.co.uk, he is valued at around £19.5 million, but BVB could well ask for double that for their midfield gem. Now, the second and last German on our list, Toni Kroos. Kroos is seen as the most ideal and perfect replacement for Michael Carrick. He is already a veteran of the game, already winning both the World Cup and the UEFA Champions league at the age of 27. The Real Madrid man would almost perfectly fit in the side, like Weigl, due to the fact that they both already operate in a similar way to Carrick. Kroos also has an incredible passing range, puts in a high number of tackles and interceptions per game. In addition to this, the former Bayern midfielder has an incredible 16 assists in all competitions this season which shows how lethal his passing can be from deep. The World Cup winning midfielder would be a big upgrade on former Spurs man. According to the stats, Kroos wins in nearly every department. With Real Madrid’s maestro valued at staggering £51 million, it will be extremely hard for United to get him, even with their monstrous finances. This looks much worse, considering David Moyes was working hard to bring the German into the club back in 2014 but the plug was pulled on the deal back when Louis Van Gaal arrived at the club. This may be unrealistic but it would be the perfect replacement. The third and last potential replacement for the United great, Daley Blind. Now, I know what you’re thinking… “How can Blind replace Carrick?”. This is the wildcard out of the three. Daley Blind joined Manchester United from our Europa League final opponent AFC Ajax for a fee of £14 million under Louis Van Gaal in the summer of 2014. Daley Blind has been deployed at centre back, left back as well as in defensive midfield during his time at Old Trafford. Playing good in all of the roles. Blind played as a defensive midfielder for his former club, as they won the Eredivisie by four points. Blind shone in the role, winning the Dutch Player of the Year award at the end of the season for his fine displays. He was seen as a reliable shield of assurance in front of the defence, distributing the ball fast, allowing the team to function quicker and better. Daley Blind plays a lot like Carrick as well on the statistics front, he has a high amount of interceptions per game, as well as tackles but the Dutchmen plays more key passes, even though he is in defence, having not made an appearance in midfield under Mourinho but I think if given the chance he could be up to the challenge. He may not be the ideal player to replace the United veteran but he may spring a few a surprises. Who should be United’s Player of the Year?